This time presented by Magnetic Music, please find out more about them in their advertising column. 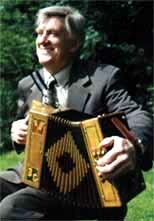 Sean Laffey meets during the summer, in the lush a farmland of South Tipperary, well actually his back garden, accordion maestro Bobby Gardiner. Bobby's road from Lisdoonvarna has taken him many miles from his native Clare, first to New York in the 1960s and since the mid seventies to South Tipperary. These days his name is spoken in hushed tones by those who know a thing or two about the Irish accordion. Irish and traditional music is going strong in Denmark - just take the Tønder festival as example, where people start to queue for the best tickets already in the afternoon, 12 hours before the advance sale starts, where 20 000 of the 25 000 tickets on sale are sold already on the first day of the advance sale..
FolkWorld tries to introduce some of the unknown, but highly recommendable bands from all the European countries. 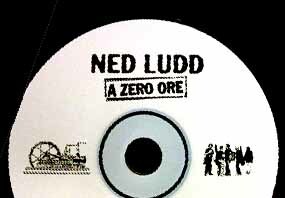 This time, we have 'talked virtually' (by e-mail) with a roots rock band from Italy, Ned Ludd. Their impressive debut CD made us curious to find out more about this exciting band. World music is now well established with festivals and record labels. Colin Jones thinks that it is time then to move on and find new music and musicians. He is looking at jazz for sources of mood music, and in this article he introduces a musician who is well-known and highly regarded within jazz circles, but hardly known at all outside. Danú, the young magic trad band from Ireland, talk about their recent activities. "It is quite a challenge for a band when it has to change suddenly its line-up, just a few weeks before playing at one of the world's most prestigious Celtic festivals. 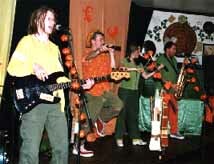 Danú, one of Ireland's current best young bands, have taken this challenge brilliantly, having taken the Danish Tønder Festival by storm though it was their first gig in new line-up. Sean Laffey calls into the Harcourt Hotel during daylight hours for a spot of lunch with Mary Cashin. He finds out about a new Award for young Irish musicicians organised by Harcourt Hotel and Celtic Note, and gives the advice to go and see the free Competition Concerts with the crop of the unknown young musicians in Ireland. The whole story started when 16 year old Thomas Loefke went to his first ever Irish concert of Clannad in the Seventies. 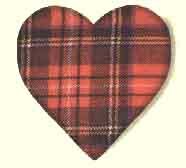 Today, the German from Berlin plays harp in a band along with Clannad's own Duggan brothers. Fun, Sun, Music in one of the Scottish beauty spots. Michael Moll experienced a new festival on a sunny weekend in September, and fell in love with the place. The festival had the problems most first festivals have; still he concludes that it's a place, but also a festival, to come back! Kathy Tan went to see Flook! in their new line-up at the Boat Race in Cambridge (UK), and concludes that in her opinion the new line-up will be drawing an even larger crowd of devoted Flook! fans. Marcus Metz saw Irish songwriter and guitarist Luka Bloom in great form. Playing different acoustic and semi-acoustic guitars with different tunings Bloom introduced the audience to his recent album "Salty Heaven". Die galicisische Folkszene gewinnt in Deutschland immer mehr Freunde. Gerade die Mischung aus keltischem Erbe und spanischen Einflüssen machen diese Musik besonders interessant. Christian Rath besuchte das Konzert der galizischen Gruppe "Berrogüetto" in der Offenburger Stadthalle. 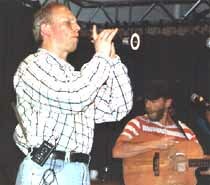 Christian Moll berichtet von einem spannenden Konzert der schwedischen Gruppe Groupa im Folk-Treff Münster. Auch wenn die angekündigte Sängerin leider aus Gesundheitsgründen nicht auftreten konnte, hat sich der Besuch des Konzertes trotzdem sehr gelohnt. Der mit der Sackpfeife tanzt. Wenn Folkies ins Konzert gehen und ihnen hinterher die Ohren weh tun, dann muß es wohl Folk-Rock gewesen sein. Am 15. September haben im Freiburger Jazzhaus die Ohren ordentlich gebrummt. 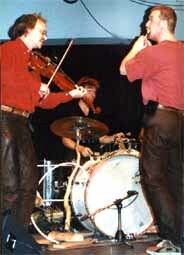 Zu hören war exzellenter Folk-Rock von der Gruppe "Faubourg de Boignard" aus dem Herzen Zentralfrankreichs. Do you have a festival or concert you like to review here? Or an article for us? Just send it!